Prime Minister Shinzo Abe has reaped the rewards of a bold economic stimulus plan but now faces a tough choice over a proposed tax hike. Japan is beginning to emerge from 15 years of economic stagnation but a tax rise aimed at controlling sky-high borrowing could spoil the party. The government is planning to double consumption tax to 10% by 2015. Paid by consumers when they buy goods or services, the tax will be increased in two stages, rising first to 8% in April 2014. The country's leaders face a tough choice over how, or even whether, to implement the unpopular measure that could take a bite out of growth just as a bold economic stimulus plan appears to be bearing fruit. Advocates for the tax increase argue that Japan must do something to improve its fiscal position. Gross public debt is projected to hit 230% of GDP next year, a level critics say is unsustainable. Should the government follow through with the tax hike, it would help raise revenue and prove that the country is committed to fiscal reforms. But the measure, as planned, would also slow the economy. Japan has been mired in a malaise brought on by falling prices and a strong yen for years. The economy's prospects have brightened significantly since Prime Minister Shinzo Abe announced fresh spending by the government and encouraged the central bank to unleash a tidal wave of asset purchases. Growth has picked up, the yen has fallen sharply and stocks have hit multi-year highs. The IMF has endorsed the plan and Japan has largely avoided charges of currency manipulation. But the third pillar of Abenomics -- structural reforms -- has been tougher to implement. If the government bails on the tax hike, some economists see little hope that parliament will follow through with other reforms. "The economic case for raising Japan's consumption tax is overwhelming," analysts at Capital Economics wrote last month. "Not going ahead would deal a severe blow to the credibility of Abenomics." Japanese policymakers are engaged in a fierce debate over the tax. Bank of Japan Governor Haruhiko Kuroda has backed the rate hike. 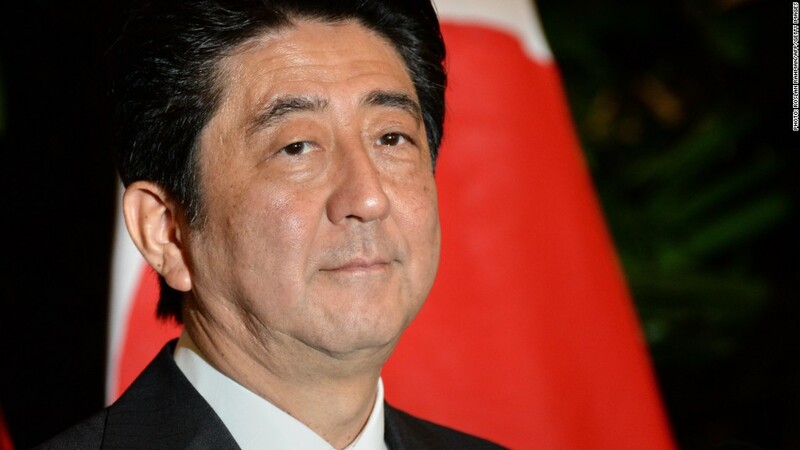 Meanwhile, some members of the Liberal Democratic Party, haunted by the political consequences of past tax increases, have urged Abe to modify or abandon the plan. One option would be to phase in the tax hike more gradually. Some analysts have suggested increasing the consumption tax by one percentage point per year for five years. Bond markets may find this change unpalatable, given the increased scope for political interference further down the track. "A gradual increase would reduce the chances of recession next year, but with elections due by 2016, the tax rate might never reach the planned 10%," wrote Capital Economics. The IMF would prefer Japan stick to the current two-step plan. "The scheduled tax increases in April 2014 and October 2015 should proceed as planned," the IMF said Monday in a report. "They are critical to maintain confidence in the ability of the government to address the fiscal problem."